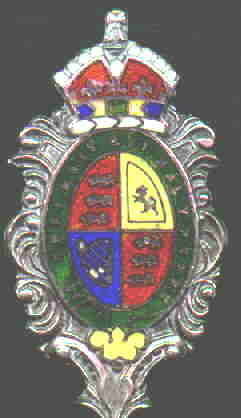 Many of the Canadian pieces have enamel finials of the various Coats of Arms of the nation or provinces and these are difficult for spooners to distinguish and even more difficult to understand. 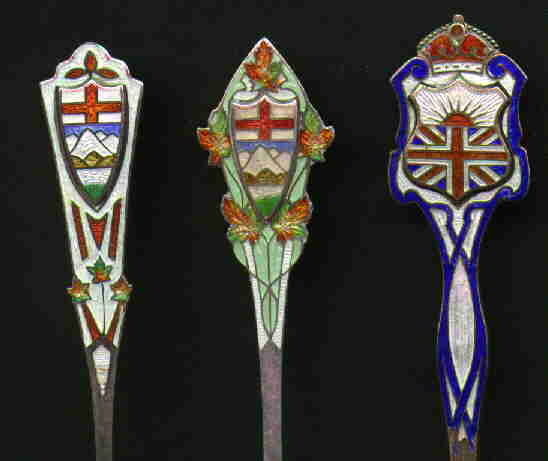 Robert Pack has recently produced a book "Collectors Guide to Canadian Souvenir Spoons" which has helped us make sense of some of these designs. Despite his extensive research, more work in this area is still required. 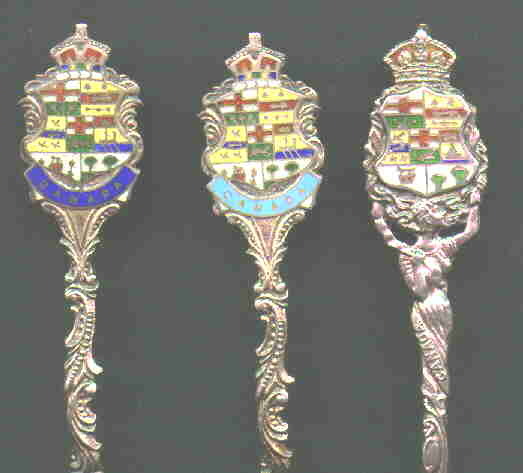 right: bonbon bowl spoon showing the Montreal skyline. 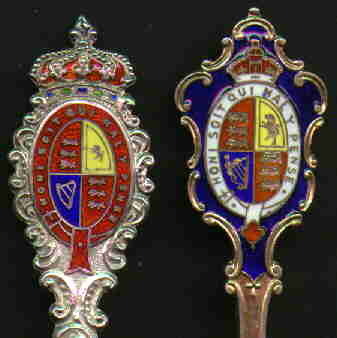 Note the basic silver design is the same as the spoon on the left, but the enameling gives it an entire different look. middle: bowl engraved Hamilton. Note: the pink is a reflection, and does not exist on the spoon. Despite 3 scanning tries, it persists. 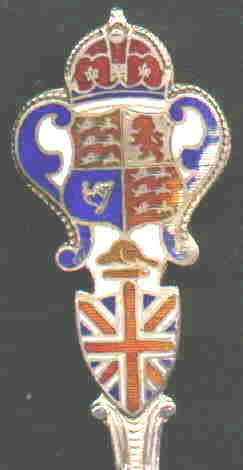 Also note that the basic silver spoon is similar to one shown on the other Canada page, but it has been enameled differently. These are particularly beautiful spoons. 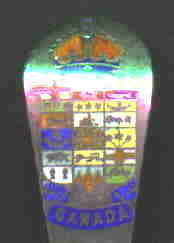 Right: Indian figure holding aloft insignia. Bowl engraved "Toronto, Ont." 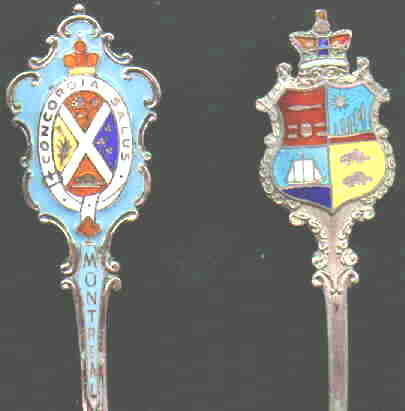 Beautifully enameled Canadian spoon engraved "Toronto"